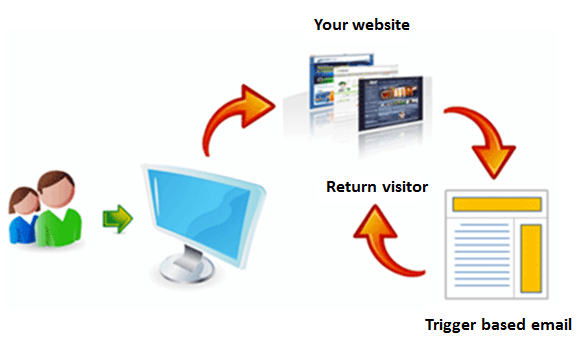 Want To Get More Conversions? Try Trigger-Based Email Marketing. According to Campaign Monitor, email is expected to reach 90.9% of those who are online by 2019. There’s no doubt that email marketing is considered the most effective channel to reach the target audience, despite the noise that social media has created in the last several years. Perhaps that’s why the biggest challenge for any marketer is to prove the effectiveness and ROI of the organization’s marketing efforts – especially when it comes to email marketing – because emails are here to stay. In the age of personalization, sending targeted marketing messages based on what the users do has become all the more necessary. Such messages are contextual in nature as they provide the user with a “context”. Organizations that send automated emails are 133% more likely to send relevant messages that push the customers forward in their purchase cycle. That is where trigger-based email marketing comes into picture. According to a study by Forrester Research, trigger-based email marketing campaigns can generate 4x more revenue and 18x greater profits. No wonder they are the go-to option for marketers to get more conversions. Now, how can Wigzo help you? The A-Z Sweepstakes by Amazon is a wonderful example of re-engaging the potential customer after he or she has abandoned the website or cart. When such a targeted message is brought up in an email and also uses psychology techniques, this encourages the customers to click through and make a purchase. In the example shared below, the person searched for point-and-shoot digital cameras. Since he did not make a purchase then and there, Amazon sent out a string of reminder messages to him out of which one was a Sweepstakes email. This way the brand (Amazon) not only made a relevant communication with the potential customer but also increased brand relevance through trigger-based emails. Such emails have a 73% higher open rate. There’s no reason for why brands shouldn’t try this email marketing tactic. Recommend Post: Creating Newsletters Is Important. But Is Anyone Reading Yours? With trigger-based email marketing, marketers can deliver relevant and informative content based on customer’s browsing history and behaviour – right in the inbox. And any potential customer would love to receive a message that addresses his or her preferences. When a brand makes continuous contact with a potential customer in the most personalized manner, it certainly makes a difference. According to Ontraport.com, marketers have consistently ranked email as the single-most effective tactic for awareness, acquisition, conversion and retention. With trigger-based email campaigns, marketers have the flexibility to create and design emails for every stage of the buying cycle. From the “welcome email” to “cart abandonment message” – there are triggered emails to support diverse behaviours of the customers. Despite the significant use of email campaigns, there are very few brands who have experimented with triggered emails. Nearly two-thirds of companies don’t use such kinds of emails – which is a shocking stat. As far as e-commerce companies are concerned, only 26% of them send out cart abandonment messages. In fact, according to MarketingCharts, only 19% of the top 1000 retailers use trigger-based abandonment cart emails. This, in a way, gives a competitive edge to marketers who want to experiment with triggered emails. The consumer market of today no longer wants to hear your sales pitch. They want to know how your product or service can add value to their day-to-day life. Your target audience comprises different segments and each of these segments are made by people who have similar needs – but certainly not the same. This calls for 1:1 personalization in emails, which basically means highly personalized messages for each individual customer. Popular email marketing tools might help you segment your audience based on their demographics but they are not able to personalize the emails on an individual basis. With Wigzo you can combine the demographics and data of previous interactions to create one-to-one personalization in emails. The tool automates your email marketing processes by auto-populating the emails that each subscriber receives based on what he has previously shown interest in. 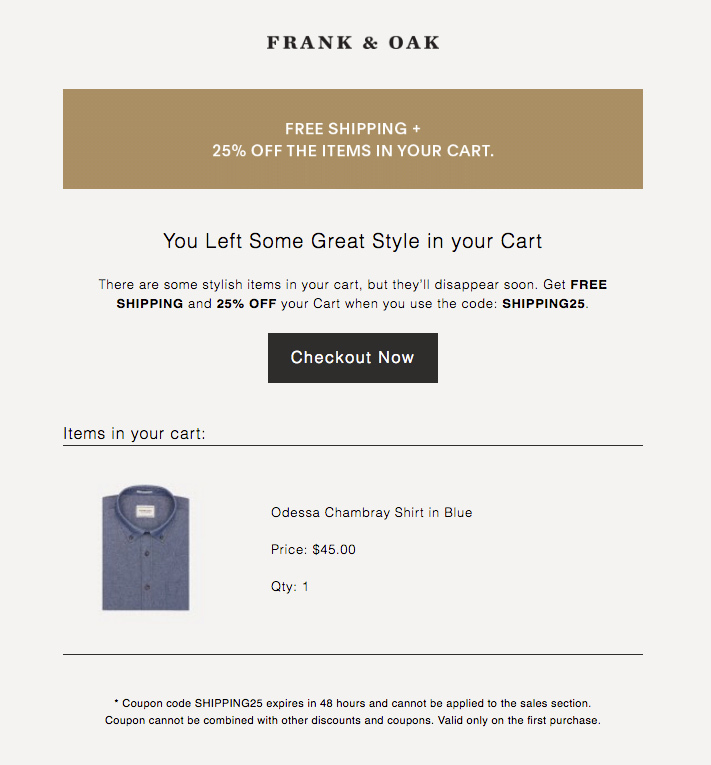 This doesn’t just boost the open rates of emails, but also increases the conversions from the sales channel.